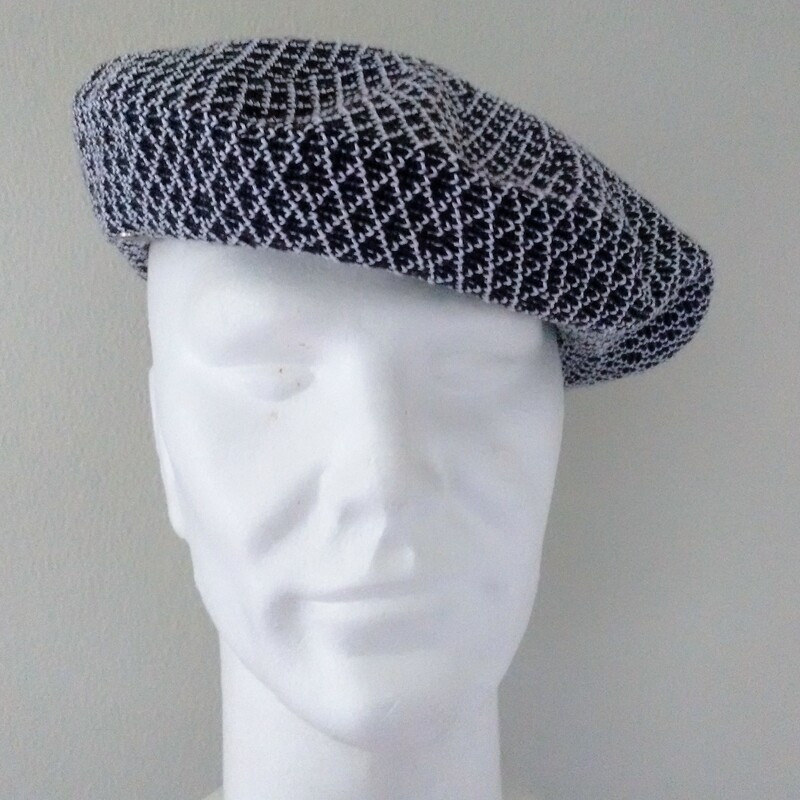 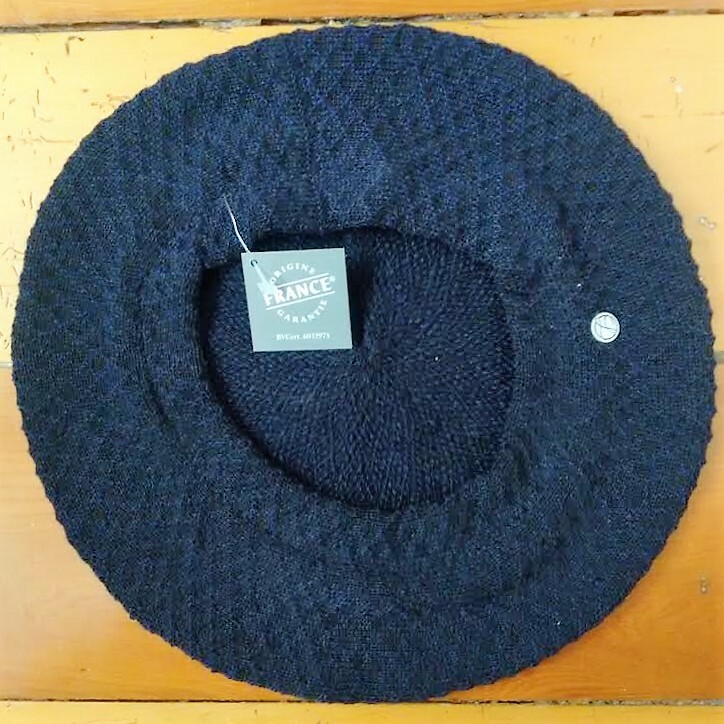 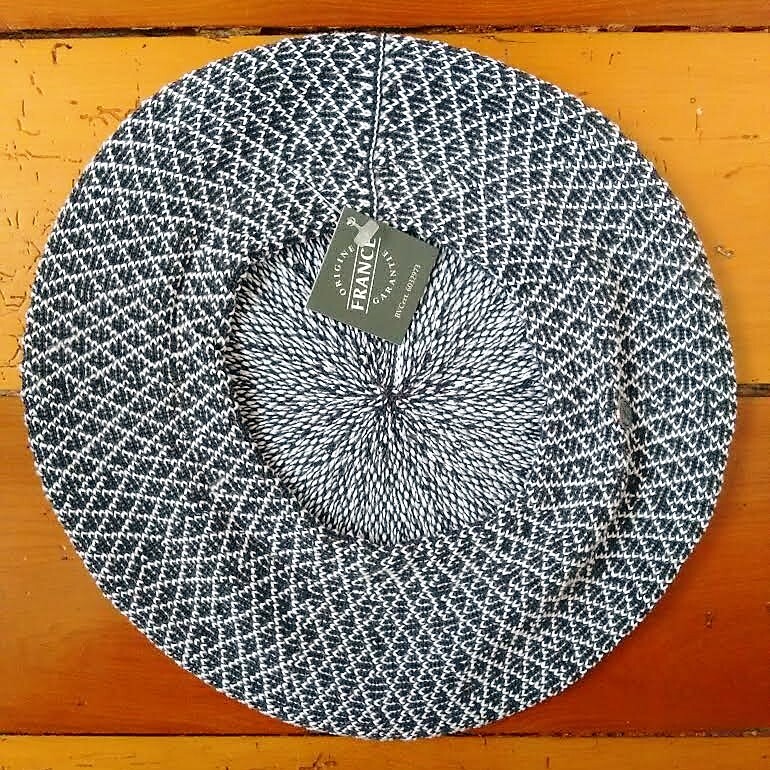 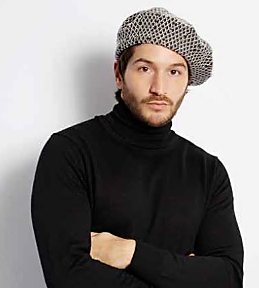 The bérets en coton are Laulhère’s latest edition in cotton berets; berets that are revolutionary in comfort thanks to a method of knitting that has never been used before, creating a firm but supple beret that easily stretches to the individual wearer’s head’s shape and size without losing shape. 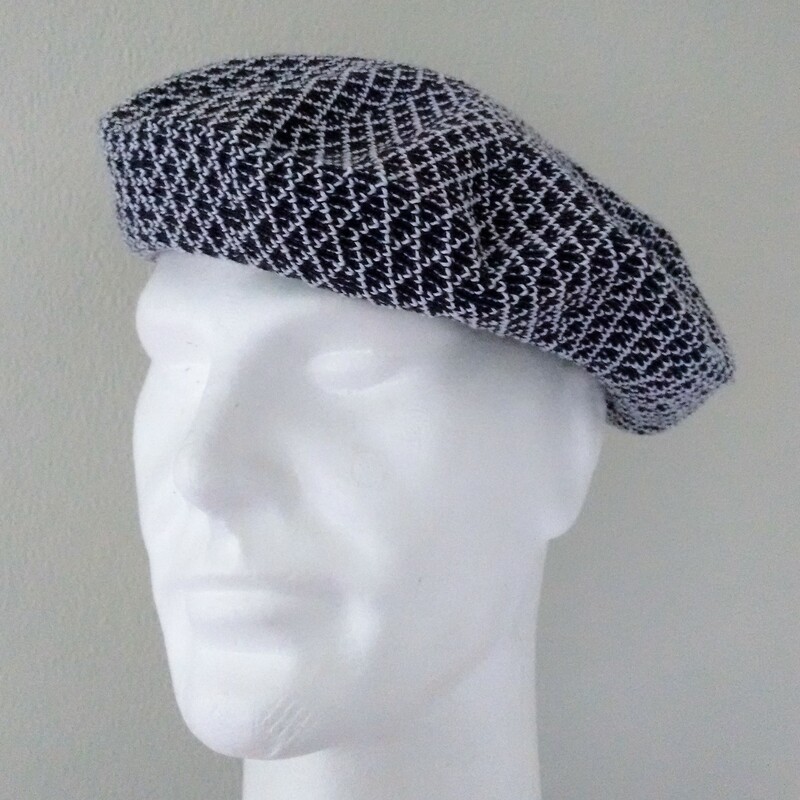 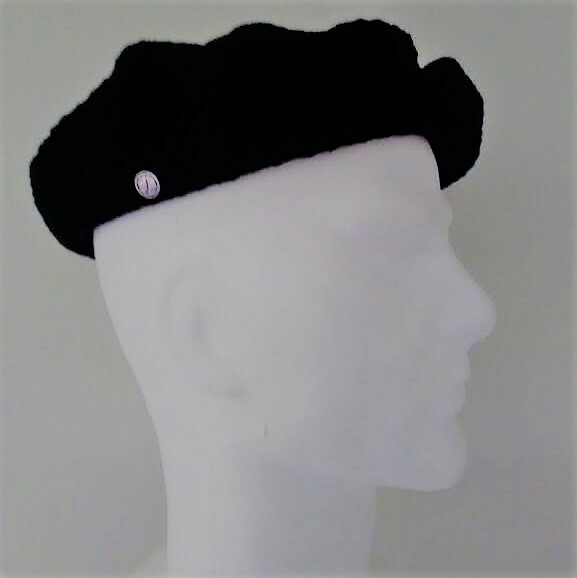 The 27cmø berets without cabillou are made of pure cotton; unlined for optimal air circulation and fitted with Laulhère’s silver pin on the side. 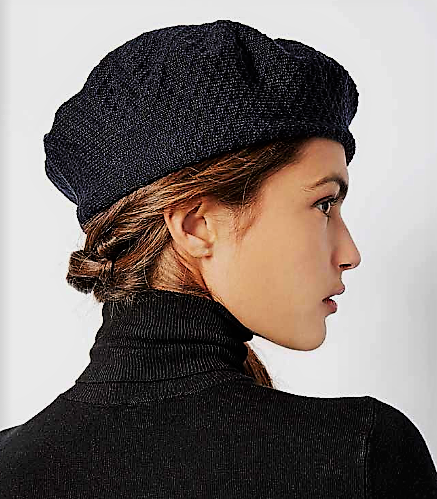 Available in Anthracite/Blanc and Bleu Nuit/Noir at $58.50 including a Laulhère gift-bag.